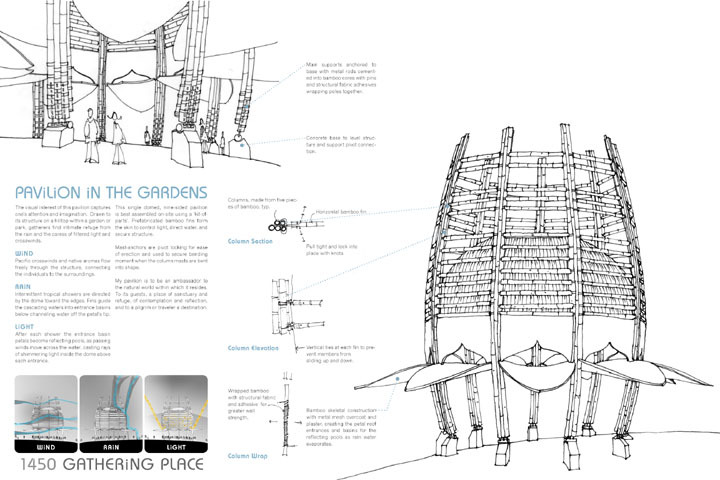 This bamboo structure is inspired by a lotus flower and utilizes wind and rain to beautiful advantage. 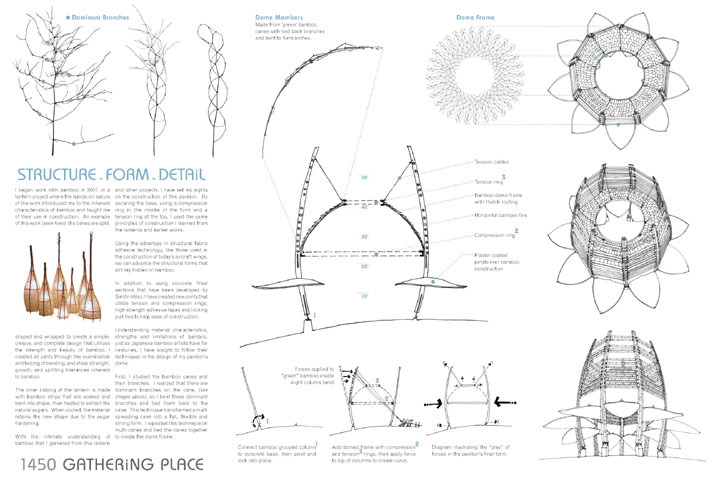 As rain trickles down the sides of the structure, it gathers in petal-shaped reflecting ponds, casting rays of shimmering light into the structure. Structurally, cement-filled bamboo is used for connecting, as well as tension and compression rings.